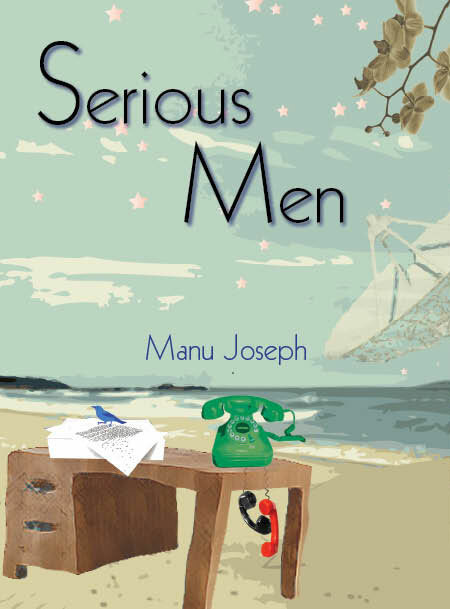 Manu Joseph’s debut novel Serious Men contains so many dryly funny moments that it’s difficult to hold up a single one as representative of the book’s tone. But take the scene where the veteran cosmologist Arvind Acharya is walking down a corridor in the Institute of Theory and Research with a young astrobiologist, Oparna. She’s in awe of the famous scientist and tries to make small talk with him. “This corridor is endless,” she says – a safe enough ice-breaker, you’d think. “That’s not true,” Acharya says tersely, and they continue walking in silence. The joke isn’t underlined, it’s quietly slipped in, and it’s typical of the book’s matter-of-fact contemplation of people (in this case, a man of science who is too literal-minded to engage in casual chatter). Elsewhere we are told that once, when Acharya’s little daughter brought him a poem she had written titled “Infinite Stars in the Sky”, he ruined the moment for her by patiently explaining why the number of stars is not immeasurable, and introducing her to the much less poetic word “finite”. However, the science in this book is a pretext for other explorations. We see Acharya and the other scientists mostly through the eyes of Ayyan Mani, a lower-class, low-caste man, and as Ayyan himself puts it, “If you stare long enough at serious people they will begin to appear comical”. Ayyan works as Acharya’s personal assistant at the prestigious institute, but he lives in a single room in a giant chawl with his wife Oja and their 10-year-old son Aditya, and he has high ambitions. Sensing that the differences between the scientists will soon lead to a power struggle (he thinks of it as the “war of the Brahmins”) and that he might use this to his advantage, he spins an elaborate story about Aditya being a child prodigy. Further complications develop when the besotted Oparna starts making advances on Acharya. What I liked about Serious Men is that though it has some obvious talking points – the class and caste struggle, social aspiration, the role of science in today’s world, the many ways in which human beings go about keeping themselves busy and rationalising their lives and ambitions – I never felt pressured to classify the book or to define what it’s “about”. It’s enough to enjoy Joseph’s sharp prose, to follow the characters around and to let themes and ideas gently float around your mind, like the descending microbes of Acharya’s fantasies. Humour and perceptiveness are the twin strengths of this novel. Its knack for detached observation is visible right from the first page where Ayyan, strolling near the Worli seaface, contemplates a sea of humanity, and it never loses its drollness – though it comes close at times, when we are made privy to Ayyan’s bitterness about the peculiar injustices of the world: when he watches a shampoo commercial and sneers about privileged people who think hairfall is a big problem, or sees elite scientists deferring to foreigners (“the whites are the Brahmins of the Brahmins”), or wonders about the lives of rich men “who were nothing without their inheritances, yet dedicated to themselves a song called ‘My Way’ ”. There is plenty of darkness in these passages when one steps back to consider it, but it doesn’t become too polemical because Joseph repeatedly finds a way to lighten the tone, and to do it in such a way that the original thought isn’t drowned out. A description of Ayyan’s black thoughts about the “moronic pride” of Indians who boast about the country’s glorious past is immediately leavened by a surreal speech where a scientist explains that the cries of slaughtered cows “go down to the core of the Earth through Einsteinian pain waves and cause seismic activity, especially after Muslim festivals”. Unexpected deadpan sentences (we are told of Oja that “the fear of raising a strange genius was eating her for some time”) are interspersed with moving passages such as the one where Ayyan and Oja, attending a quiz at their son’s school, stand on the periphery of a group of upper-class parents, knowing that they don’t quite fit in but reticently participating in the conversation, and acquiring validation when one of the other men recognises Ayyan as “the father of the genius”. Much of the frisson derives from the gaping contrasts between the lives led by its protagonists. At one point Ayyan gets a call from the weeping Oja telling him that her cousin was burnt alive by her husband (and we are given a sense of how commonplace this sort of thing is in their immediate circle: she did not want to know how a woman looked after she was burnt. It was something every girl she knew had nightmares about when they were growing up), but Ayyan is simultaneously listening to two scientists discussing “correction terms” and “space-time geometry” as if it were the only thing that mattered in the world. I thought the juggling of the stories of the three central characters was skilfully done. The Acharya-Oparna liaison could have been nothing more than a convenient plot-mover, but it gives us insights into their personal histories, notably when Acharya, in the newfound, liberating intimacy of this relationship, recalls a childhood incident – a brush with the idea of predestination – that forever changed his life. On one grand, absurdist level, all the people in this book (including Ayyan, the puppet-master) can be seen as comic figures, as all of us ultimately are – self-importantly serious about the things that personally matter to them, willing to scoff at the things that don’t. But they are also believable people, it’s possible to care about them, and that eventually is what makes Serious Men such a winning novel. P.S. Here's an old post about a book that Serious Men reminded me of in a couple of small ways - Paul Torday's Salmon in the Yemen. I remember once trying gently to amuse a six-year-old child at Christmas time by reckoning with her how long it would take Father Christmas to go down all the chimneys in the world. If the average chimney is 20 feet long and there are, say, 100 million houses with children, how fast, I wondered aloud, would he have to whiz down each chimney in order to finish the job by dawn on Christmas Day? He’d hardly have time to tiptoe noiselessly into each child’s bedroom, would he, since he’d necessarily be breaking the sound barrier? She saw the point and realized there was a problem, but it didn’t worry her in the least. The obvious possibility that her parents had been telling falsehoods never seemed to cross her mind. She wouldn’t have put it in these words, but the implication was that if the laws of physics rendered Father Christmas’s feat impossible, so much the worse for the laws of physics. I don’t want to give the wrong impression: it would be a mistake to read this story as Dawkins the cold-blooded rationalist bullying a little child into submission. In the chapter from which this anecdote is taken, he readily concedes that trusting credulity (including the belief in Santa Claus) is normal, healthy and desirable in a child; what he’s concerned about are the effects when the non-questioning spirit carries over into adulthood (as it does with an alarming majority of people). 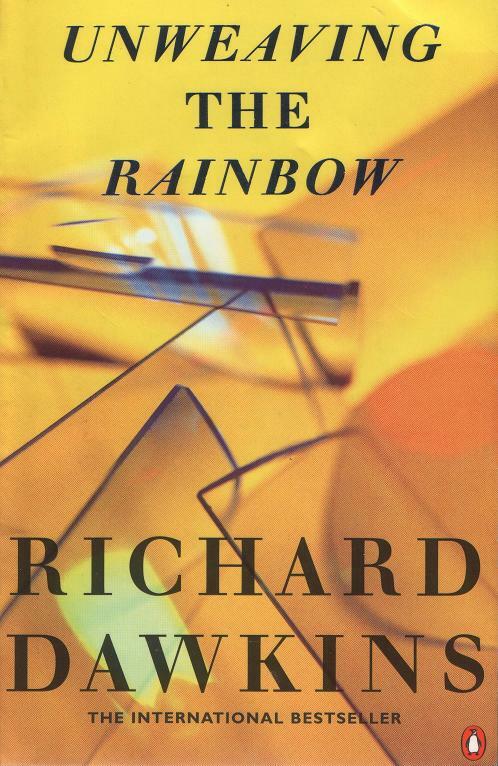 Unweaving the Rainbow, like most of Dawkins’ other popular-science books, is a wonderful exposition of the wonders of the natural world, and it makes science stimulating and fascinating. But even so, I amuse myself by imagining the expression on the face of that little girl as Uncle Richard shares his calculations with her. What fun. Lovely review. Unfortunately, I didn't much like the book! Unfortunately, I didn't much like the book! Sanjay: you're the third person to tell me this since last night - I think there are going to be some very polarised reactions to this book. Have you reviewed it for anyone yet? Anupam: yes, the non-questioning spirit explains a great deal of the nonsense that carries on in the name of "tradition" and "culture". Do read the Dawkins if you can. Yes, it's in today's IE, and have also posted it on my blog. You're quite right about the polarised reactions; the few other reviews I've now read differ wildly in their reactions. Interesting that you thought the tone was comparable to Upamanyu Chatterjee's recent work. If I had felt the same way, I wouldn't have been able to complete Serious Men (had a really hard time with Chatterjee's last two novels), and my review would definitely not have been favourable. 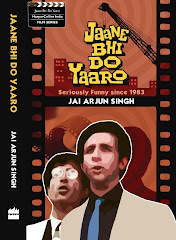 But the tone worked for me - I thought the humour was sharp but not as nastily, drearily caustic as Chatterjee's. Anon: not sure what to say to that. I usually adopt the position that my reviews aren't so much a recommendation ("go out and buy this now!") as an honest articulation of my own feelings about a book (or film). But I understand that the distinction often gets blurred - which is why I try to provide a couple of samples of the writing, so people can decide for themselves if the thing might be to their taste. Incidentally I've had many comments discussions about this and related topics before - for instance, about the fact that a reviewer usually doesn't spend his own money on a book, and his experience can't be exactly equated to that of the reader who does.